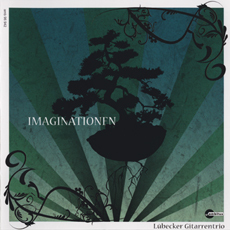 The "Lübecker Gitarrentrio" is very interesting and innovative chamber music ensembles in the international music scene. His CD "Imaginationen" containing many premier recordings presents the variety of contemporary music for guitartrio. The positioning of the three single movements on the beginning, the middle and the end of the CD connects the program to a unique listening experience, which takes the listener on a journey to unknown, "unheard" soundscapes because of the inexaustible joy of playing, creative experimentation and vital musical communication of the players.